Make materials as innovative as your ideas. Looking to tweak B9Creations existing materials, print with third-party materials, or create custom materials? Meet B9Captivate. 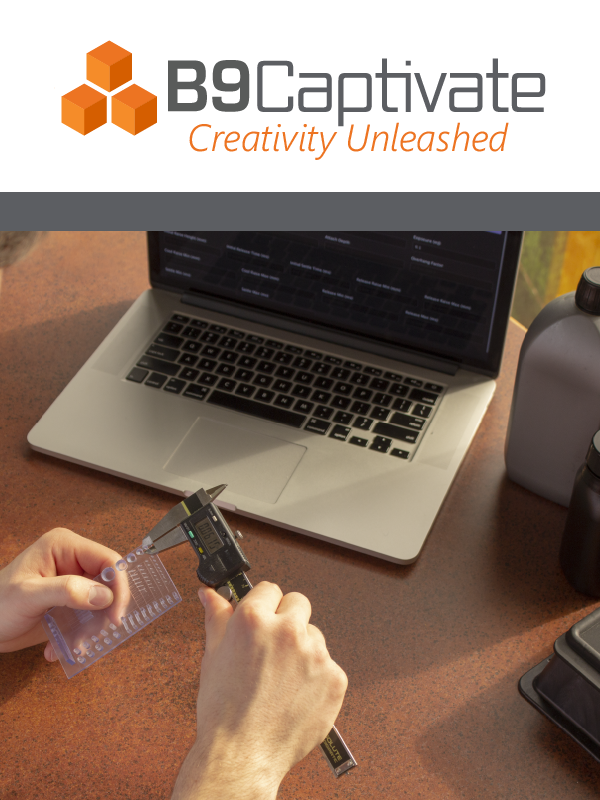 A material development toolkit that helps you analyze the chemistry of your custom materials and the geometry of your part – so you can develop settings perfectly engineered for your application. Want something more robust? The Enterprise license offers third-party distribution, fine dimensional tuning, and material development support. Fill out the form and we'll help you find the best package to fit your business needs.